Soccer and Britain have a deep, almost fanatical connection. Although soccer is played in different parts of the world, including Europe and America, it is the connection shared between the sport and the British that is often difficult to miss. The most watched soccer league in the world is The English Premier League. 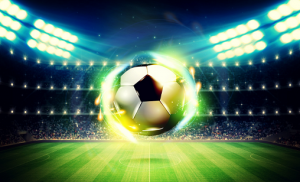 According to one recent statistic, this soccer league commands an audience of more than 4 billion viewers worldwide. If you visit a capital city anywhere in the world, there is a big chance that there is someone who wears a shirt of a team or personality from the English Premier League. Furthermore, teams that play on the British circuit and their players are the main reasons why soccer has become popular. Teams that are powered by top players, including Wayne Rooney of Manchester United and Danny Welbeck of Arsenal are the ones that have defined the British soccer. 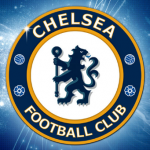 Chelsea FC is one of the best English clubs today, due to its run of victories in the last few years. The team’s first premiership success occurred in 1955. From the 1960s to 1990s, the team won a few victories and championships, but the era starting from 1997 was considered the best for the team. This was a time when a massive funding was injected into the team, courtesy of Roman Abramovich. The team won 17 major tournaments, solidifying its position as one of Britain’s most successful soccer teams. In 2015, the team was ranked as the sixth most valuable team internationally, with a net value of over £898 million. This team may find it hard competing with some of the leading British and Spanish clubs today, but when one takes a good look at soccer history, the team has had a brilliant past. 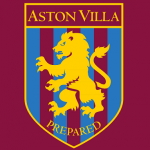 Aston Villa won 19 major trophies throughout its existence, and is considered as one of the oldest clubs in the European soccer circuit. It is also one of the founding members of the Football League (1888). Arsenal is not just one of the most successful teams in British soccer history; it is also one of the most commercially successful. 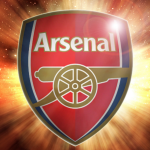 Arsenal has the fifth largest fan base for soccer teams around the world, and Fortune has valued the team at more than $1.3 billion or more than £900,000 in 2015. This team managed to secure 12 FA championships, a UEFA Cup and numerous other international trophies. Liverpool has 33 major trophies, making the team the second most established soccer clubs in the United Kingdom. 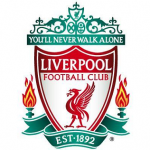 The golden years of Liverpool occurred during the 1970s to 1980s, when the team was almost. Based in Liverpool, England, the team is one of the leaders when it comes to the total number of European Cups, UEFA Cups and League titles won by a club. Aside from its tournament success, Liverpool is also a highly profitable club, earning €306 million per year. While other soccer clubs collected trophies and made their mark in the 1970s and 1980s, Manchester United reigned supreme during the late 1990s up to 2000s. In fact, up until this time, Manchester United was always in contention for most major trophies. 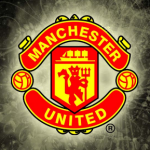 It was under the leadership of Sir Alex Ferguson that this team originally established itself as one of the best British soccer teams. During this time, Ferguson led the team to secure 38 titles, including 13 Premier League, 5 FA and 2 UEFA Championships.